There's a lot of storage in our entry way closet, I have all the Christmas stuff stashed in there and several plastic boxes filled with memories of days gone by. I've inherited the memories from both sides of the family, held on to anything remotely interesting or sentimental. I have tons of cabinet card photos taken of people who I can only dimly link to my family, as well as photos of friends and loved one's whose stories are lost to time. Lost memories someone else might throw away. 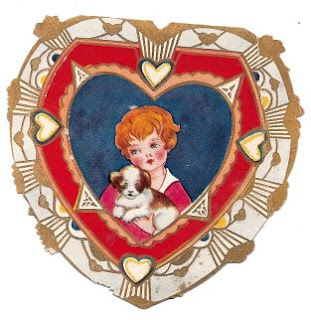 These Valentines were tucked in a card board jewelry box with several pre-world war 2 post card pictures. The "full figured" lady at the top is my favorite. The little girl in the middle looks like Lil' Orphan Annie, and the one at the bottom has moving parts. They are addressed to my grandmother on the back- she must have saved them from her childhood. I'm going through some of the papers, letters,and photos in the boxes from the closet. I need a better way to store them, a better way to enjoy them. Boxes and boxes of paper memories. Now kids give Hannah Montana and Pokemon Valentines which seem naked and useless unless there is a piece of candy taped to them. The candy part is more important than who the card is from. Will kids someday be sending digital valentines? In a paper-less future, what kind of memories will we love most? Can you imagine a paper-less future? THX for taking me on a trip to Memory Lane. 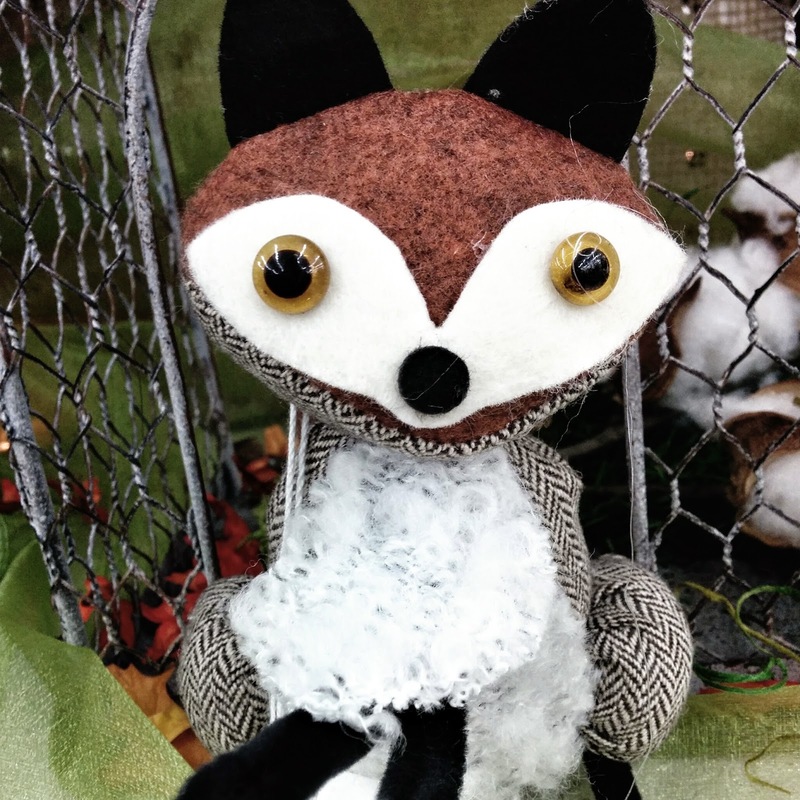 You are my doppelganger for sure. I've missed your posts and am glad to catch up. LOVE those valentines. I promise - you will never get a digital one from me. These are really cute Valentines. I can't imagine a world without paper greeting cards! Thanks for linking up to my Vintage Valentine party! I can, and I don't like it. Sniffle. So glad you keep them, both for yourself, and for posterity. what darling valentines and how wonderful that they were your grandmothers! i agree with you. the ones now are really stupid and get thrown away as soon as the candy has been peeled off! How adorable I love the first one also. I have 3 ring binders with mylar sheets to keep my vintage papers, cards, post cards and photos. I also have some that relate to family only rather than ones that I would sell. Great Valentines. I love those mechanical ones. I'm amazed that they have lasted so long without getting broken. I hear the word storage and I start to drool. You lucky! I'm loving your sweet Valentine's. I love your vintage valentines - glad that you are the keeper of memories! What a beautiful page! Nice. 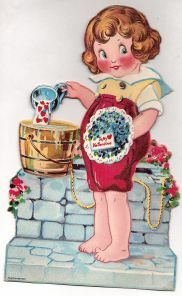 "Vintage Valentine" yeah, some of us are vintage, all right. Like your Valentines. I went back and checked on the book Bobbie Had a Nickel and it was pub in 1965! Thanks for stopping by for a visit. Love your little valentines, I found my mother's valentines, they are old too. I think she was about eight when she got them and she would be 89 now if she was still living. One of hers was the Lil' Orphan Annie. I love the old valentines. Your Valentines are lovely - how nice it is too have family memories that surround you. Both my family and my husbands families pretty much sold or threw away most of their things - so their was little to pass down. I l've gone pretty far back in your older post and I really enjoyed reading what you have to say. I will sign up to follow you. Because you embed your comment under your post - I am unable to comment from my computer - and have to use the computer in the basement - so I may not comment every day - but I will be reading - and I will comment as my health permits for me to navigate the stairs. those r lovely. thanks for sharing. ...i have a hard time imagining not reading paper-books and it's already happened! Love your Louis the Sixteenth embellished harlequin header! Perfect for Valentine's Day. Such great images. I love the first lady too - she's so unique and has such character. Being paperless will mean such a loss of greetings that you can touch and feel and the joy of receiving snail mail package ! 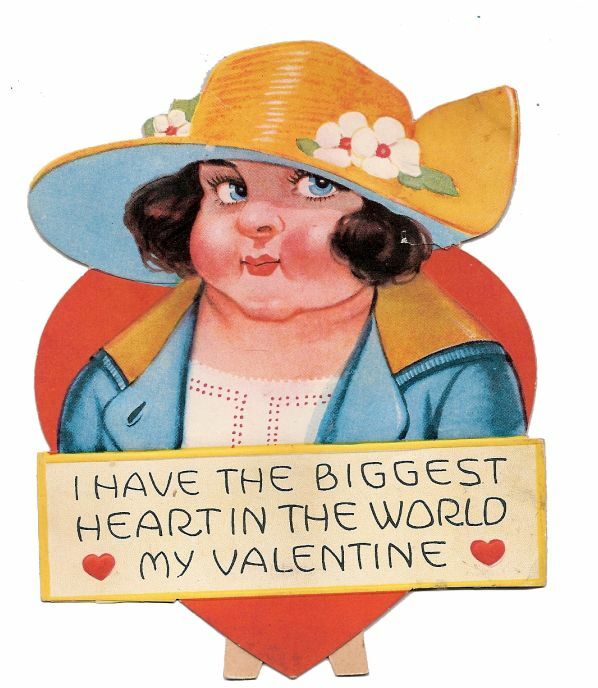 I love vintage valentines. I was googling some the other day to get some ideas and found the funniest one of a fat little girl and the message said, "You aren't too fat to be my valentine!" I sure hope my husband doesn't get that one for me! ha!